The Blumarine woman for next fall dresses in minimalism. She wears basic pieces: mini-dresses, long, straight pants, double-faced trench coats with belts at the waist. Anna Molinari left the animal prints from previous Spring for what it is. The minimal mood ran throughout the entire collection, though she reworked those silhouettes in brightly saturated colors with its intensity and optimism. We´ve seen an explosion of vibrant colours: orange, yellow, violet, aquamarine, light blue... This collection is all about easily wearable pieces that could act as colorful accent pieces in any woman’s wardrobe. 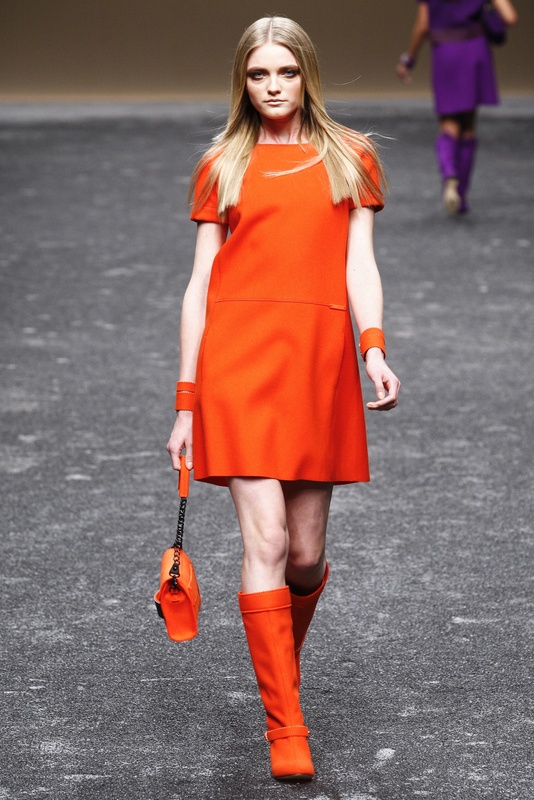 Model favorites such as Stam, Coco, Vlada and Chanel graced the catwalk and uplifted the collection even more. On top of that, the pieces were one by one heavily inspired by the 1960s: we find clean cuts, pale pink overcoats with black linings made of heavy wool with leather details which all convey a very chic and modern idea of outerwear. Molinari did something totally different but it works and I really like the pieces! I really like this collection. I love minimalism though. Clean lines and shapes are perfect in my opinion. I love the shot of colours in this collection as well. Great post. Love it! 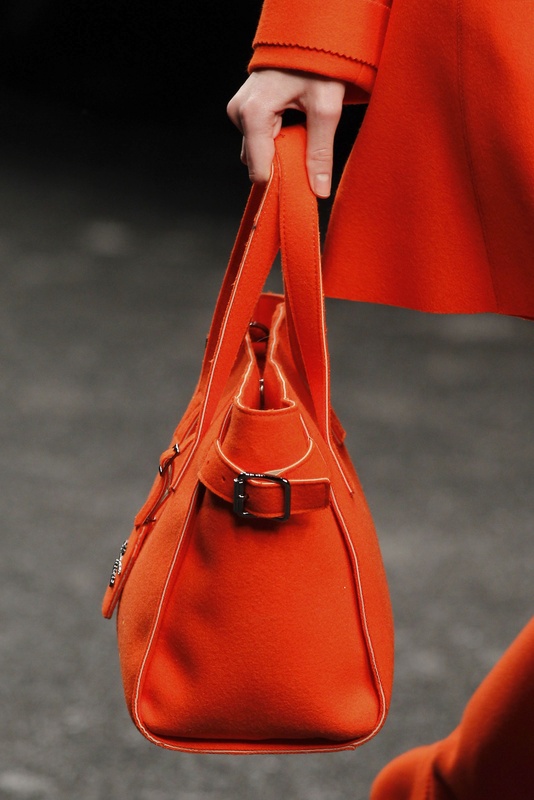 Classic, refined, stylish, love the sparks of purple and orange for next fall. A modern day working woman. Keep up the good work. Love. That orange lace dress and those purple boots are my favorites. Beautiful! !